Peter Mascher, McMaster’s Associate Vice-President, International Affairs (right) and Ontario Premier Kathleen Wynne (centre) pose with Joseph Klafter, President of Tel Aviv University (left) during a stop in Tel Aviv, part of a week long business mission to the Middle East. McMaster is exploring Research and Development (R&D) and commercialization opportunities in Israel–widely described as a “start-up nation”– as part of a week-long business mission to the Middle East led by Ontario Premier Kathleen Wynne. Earlier this week, McMaster’s Associate Vice-President International Affairs, Peter Mascher signed memoranda of understanding with two of Israel’s leading post-secondary institutions, Hebrew University (HU) of Jerusalem and Tel Aviv University, where he was joined by Jeffrey Wagman and Stephen Adler, Chairman and Executive Director of Canadian Friends of Tel Aviv University, respectively. The agreements will create a framework for academic collaboration, experiential education, joint research projects, and product development for global markets in many disciplines across the university. Of particular interest to both partners is collaboration with the McMaster Autism Research Team (MacART). 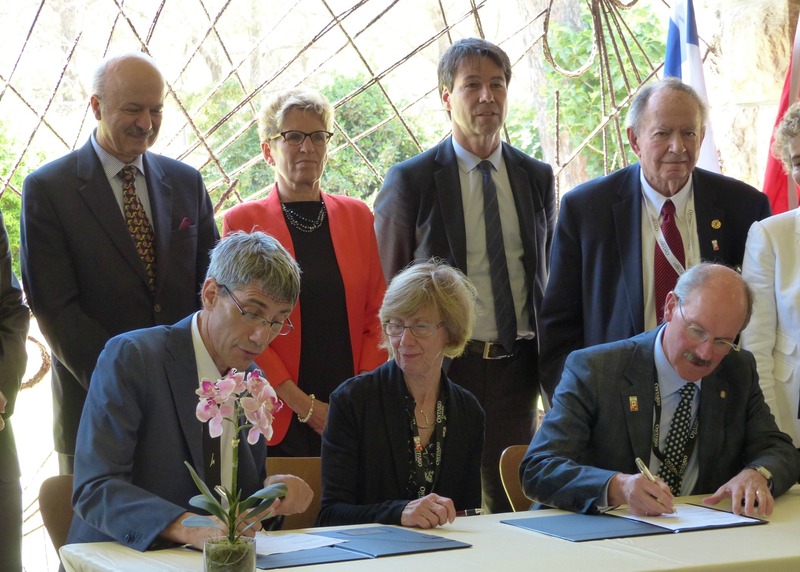 As part of the MOU with HU, Canadian Friends of Hebrew University (CFHU) and HU will fund two post-doctoral fellows who will work with a research team at the Ontario Brain Institute (OBI). 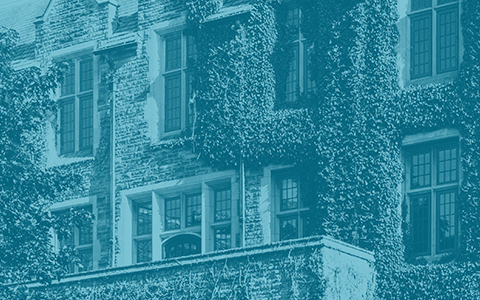 The post-doctoral fellows will be co-supervised by McMaster faculty who are already engaged in MacART and in neuro-behavioural research within OBI. Merle Goldman, Executive Vice-President of CFHU was present at this signing. While at HU, Mascher also participated in a round table on innovation and collaboration in the life sciences and attended a luncheon and networking session hosted by CFHU. During a visit to Tel Aviv, Jonathan Bramson, Managing Director of the Fraunhofer Project for Biomedical Engineering and Advanced Manufacturing (BEAM), met with representatives from research institutes, technology transfer centres and life sciences companies to explore research collaborations and commercialization opportunities, and to showcase the life sciences innovations being developed at McMaster. In the coming days, Mascher will travel with the Premier to Ramallah in the West Bank where he will sign MOUs with three Palestinian post-secondary institutions including An-Najah National University, Birzeit University and Bethlehem University. The business mission, taking place form May 15-20, is focused on establishing Ontario as a top innovation and knowledge economy partner in life sciences, and as an investment destination for businesses.